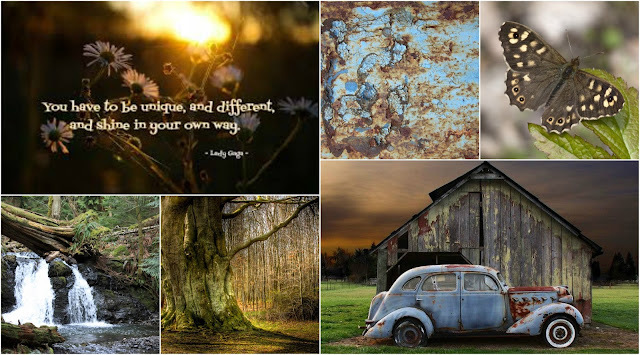 Angel Scraps: Mood Board challenge! Every month I host a challenge over at Scraps Of Darkness Facebook Community! This month I decided to have a mood board challenge! I love the Cody marches to his own drummer and does things his own way. He is such a fabulous kid and I really wanted to celebrate it! *Melinda will be providing a Gift certificate for the randomly drawn winning entry! The denim stars are fabulous! They are part of main kit...I added the denim button from elements add on. The arrow is also part of the elements add on, I inked it and added blue embossing powder from a previous kit. I LOVE this quote. I think everyone she embrace their individuality and be as awesome as possible!